Any first is always special. So was my first visit to Laya, one of the highest settlements in Bhutan. I was lost in admiration of Laya’s landscape adorned with snow-capped mountains. I was frozen with happiness. As I watched little children run around with their hands tightly tucked under their armpits, I could feel the cold air brush against me. Even the smoke rising from every roof is a heart-warming sight. I accompanied a team from the Royal Office for Media to attend the third Royal Highland Festival that took place on 23 and 24 October 2018. It was a rare opportunity for Bhutan Media Foundation (BMF) to feel and gauge the level of media literacy in the celebrated community. Laya is at 3,800 metres above sea level. For a slow walker, it is at least eight hours of strenuous walk from the nearest road head at Koina. 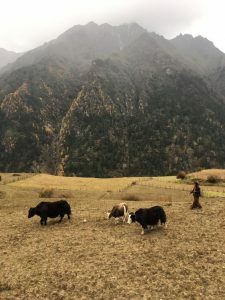 It is surrounded by snowy peaks and dotted by handsome yaks and horses. There, you are face-to-face with an imposing mountain that you feel exhilarated and disarmed at once. It is a world far removed from the capital city of Thimphu from where I went. 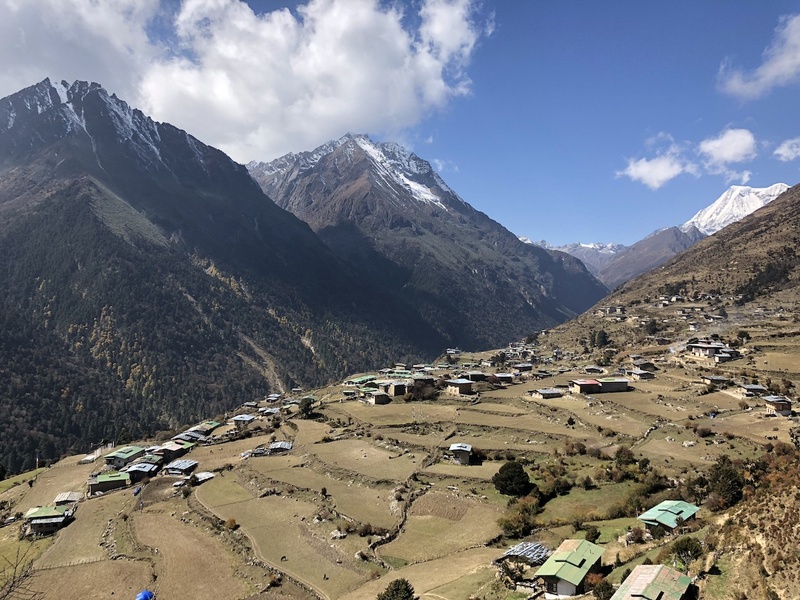 The day before the festival, I took a walk around the village to take the pulse of the media users and feel the level of media literacy among the people of Laya. I was surprised to find that “BBS TV” is what media means to them. Every household has a TV set, and BBS TV dominated the people’s interest. They watch the news and Bhutanese reality shows. Hardly anyone knew hardly anything about the print media. When I showed them a few copies of a newspaper I took with me, they simply stared at the pictures and said nothing. Most people I interacted with have never heard about private newspapers. Some never saw a newspaper. But the media is pervasive in the community in the form of social media. Everyone uses WeChat on his or her mobile phone. The Internet connectivity is good and one sees the latest smartphones in every home. For them, it has become a local source of information and news. No other social media app is used in Laya. The people of Laya use social media extensively without even realizing that they are using the media. They use social media platforms to communicate among themselves and with the world beyond Laya. Some of them have met new friends from across the mountains on social media. A few of them have made friends with people from neighbouring countries. They share on social media their daily work schedule and, occasionally, pictures of their rich culture and beautiful landscapes. However, none of them knows what it means to make friends and share pictures and information on social media. They are using social media unprepared. I thought BMF could step in to take media literacy to Laya and hundreds of such communities across the country. But it is not easy to reach the community. It is physically strenuous but financially expensive. You have to take everything – even yourself – on horsebacks. The first part of the trek was fairly easy down a valley along a logging road until a bridge. Soon, the group began to spread thinly as some, including me, trailed behind. I walked slowly and painstakingly but made it completely adventurous. Some of my friends could run like a doe making me feel heavier. But my slow pace made me enjoy every step of the trek. Laya has come a long way into the modern way of life. People have started to blend in for a better future. And with that comes a host of challenges. One is waste management. Another is the widespread use of social media with little or no knowledge of its impact and implications. Given timely intervention, the social media landscape in Laya can be as beautiful as the physical landscape. As I descended to lower grounds, the sound of the bells on the horses and yaks lingered for a long time. As I travelled back to Thimphu, I felt a heady mix of memories that were uplifting as well as painful. I felt the mountains speaking to me, the cold air hugging me in gratitude, and the trees and streams waving their farewell white scarves for me. For as long as Laya remains with me, for that long, I will remain grateful to it and longing to take something back to Laya. That may well be media literacy.